Finally got around to trying them and ... success! I downloaded the two books from TPT but given the choice again I'd join the website. They have extra masks available! 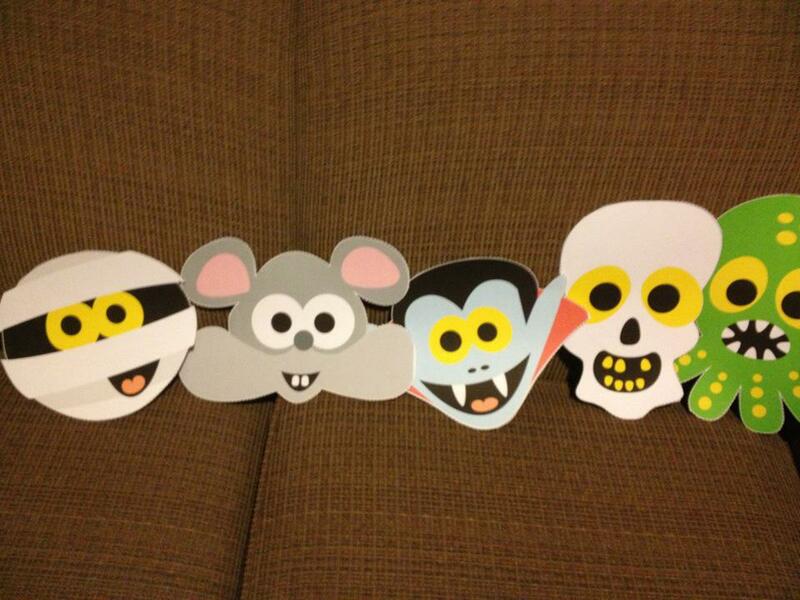 These are great for turning into puppets and using as retelling props. If you choose the color ones you will have it all ready to go in mere minutes but you will go through some ink. Or you can print the b&w version and have the kids color them. Super quick to cut out ... though if he'd make them jpgs instead of pdfs could send them to the Silhouette Cameo and they'd cut themselves out! The signs around their necks are the "setting" photos. Is it Where's My Mummy??? ROCK ON! Yay! Someone reads. ;] Every once in a while you just have to sort of make sure, you know? Any preferences? i have some cute (I can say that because I didn't do any of the art ... I just like to mess around with clip art and digital papers so it's not ME that's making them cute, it's the artists!) owl library signs. Or some turkey/thanksgiving ones. 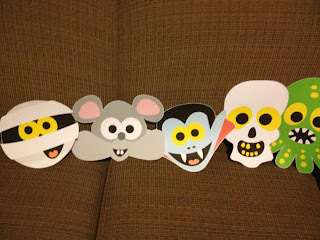 Or some holiday/snowman ones that are still in the making but when I get them done I'd email them. Or the superhero ones. I like the Halloween ones, too, but it's probably too late in the month for that to be much fun. Though there's always next year.